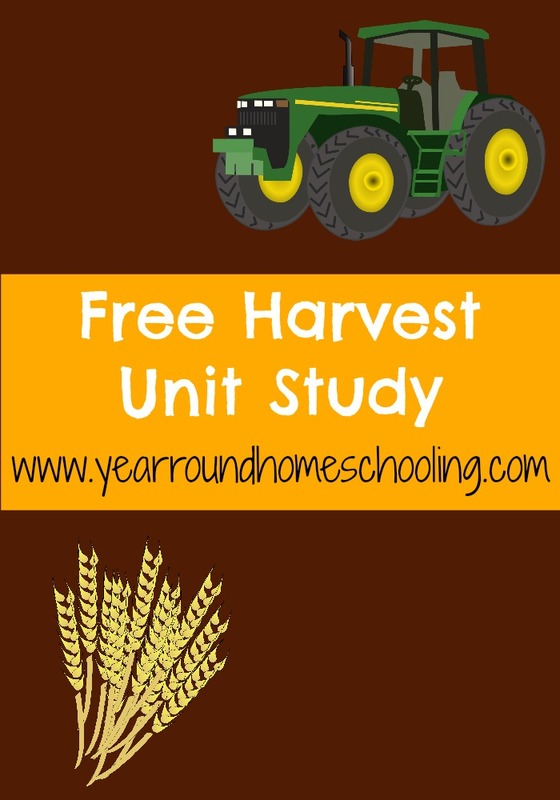 Homeschool Unit Studies: Harvest Unit Study - Look! We're Learning! Down here in the South, it’s pretty common to see farms and farming equipment. My youngest boy is smack dab in the middle of the “I love everything mechanical” phase, so he was excited about learning how farm equipment works. I made this harvest unit study with him in mind. But it would be a great one of our homeschool unit studies for any kid, especially during fall! 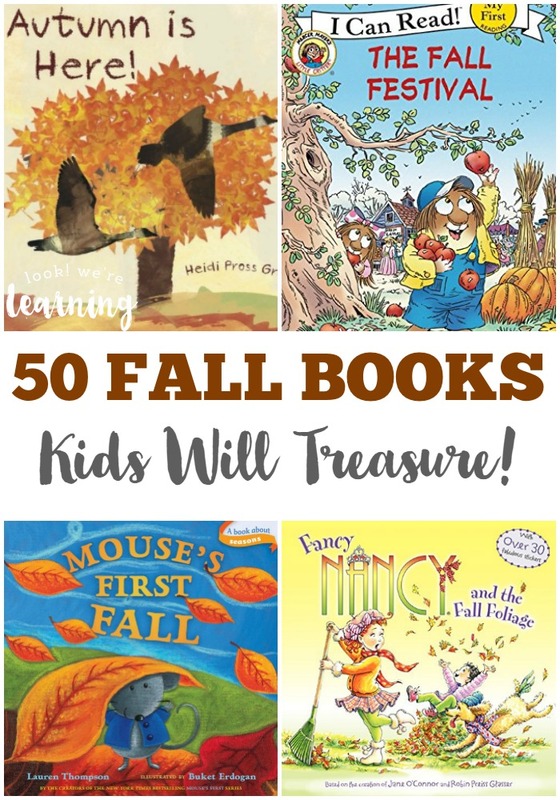 Be sure to try some of our other fun fall activities, including our list of fall books for kids and our list of 50 fall crafts to make this year! 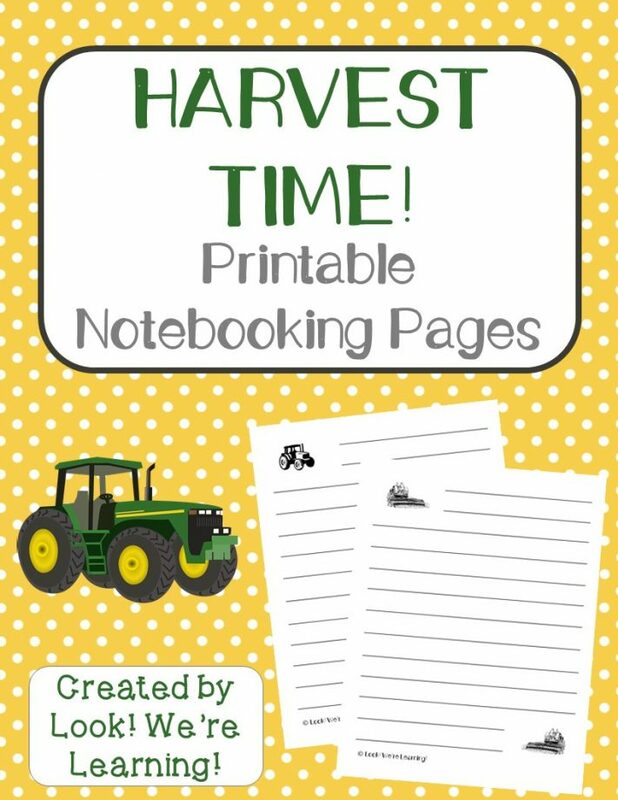 Pick up these free harvest notebooking pages to use with this unit! 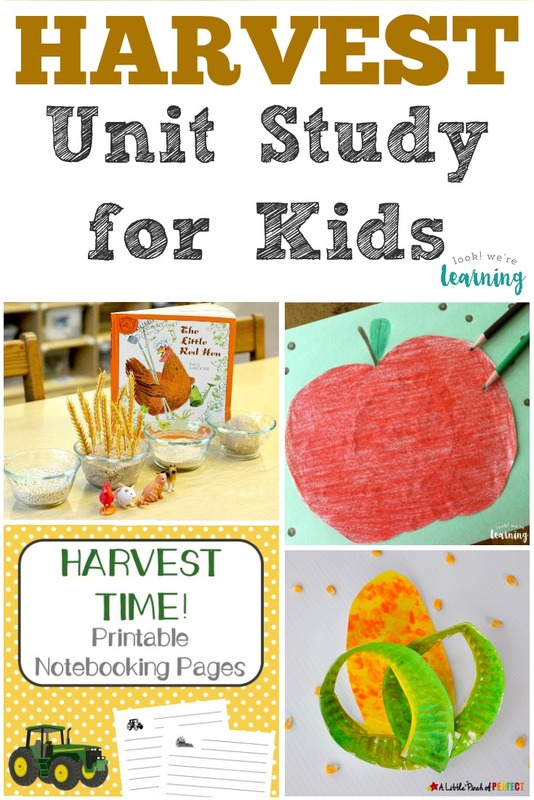 Kids can use these printables to organize the facts they learn about harvest time from the video below or from the books you share together. What Happens At Harvest Time? Watch the wheat harvesting video and let the kids try to the answer the questions that follow. Ever heard of the “harvest moon”? What is one and how did it get its name? This video is a neat (and brief!) explanation! 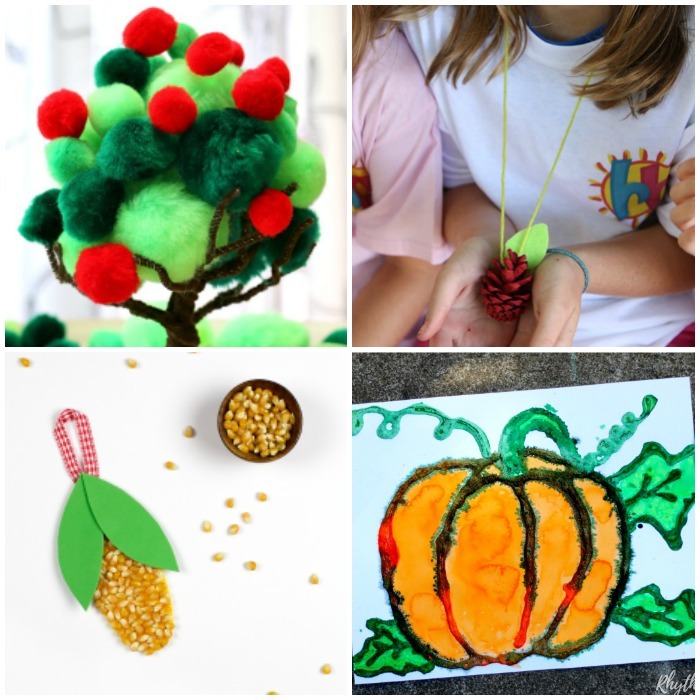 These fun harvest activities for kids are a wonderful way to add some hands-on learning to this unit study! 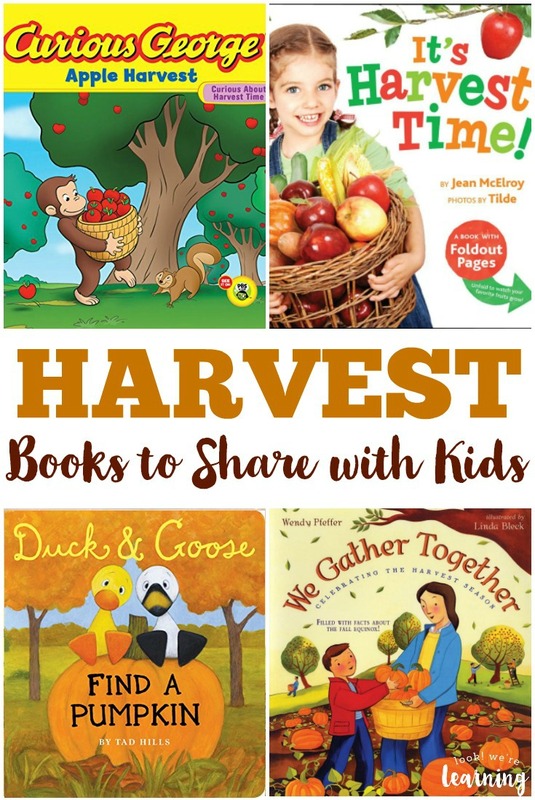 And don’t miss our list of harvest books for kids to read! 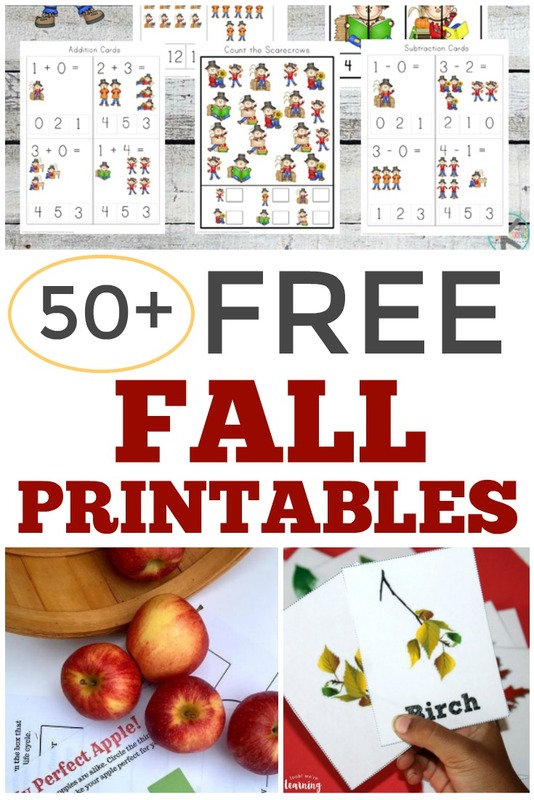 Check out these other resources for fall learning! Get exclusive learning tips and printables when you sign up for our email newsletter! Just use the widget below to get started. 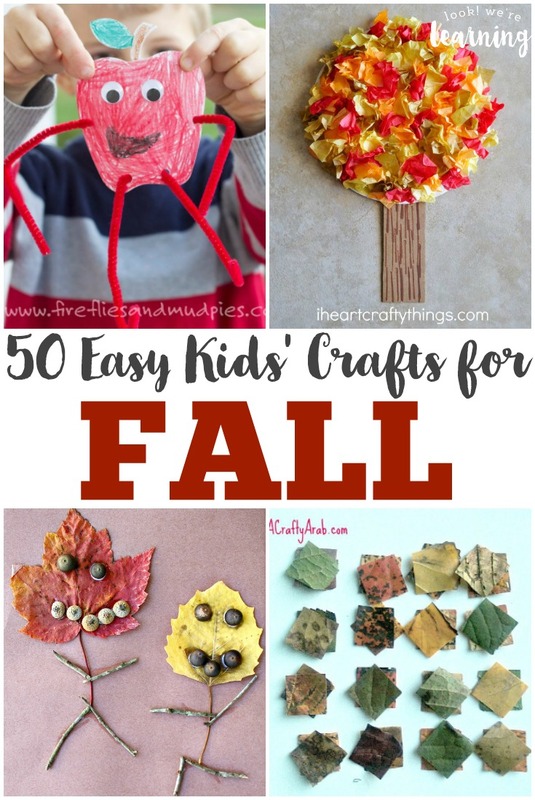 And see more fun fall ideas on my Fall Activities for Kids Pinterest board!